If you’re based in Oxfordshire or Northamptonshire and your garden border needs refreshing, we provide an end-to-end service, creating garden planting designs identifying the ‘right plants for the right place’. We also source plants and undertake the planting. There are various steps in the process prior to the purchase of any new plants or shrubs, and it’s vitally important that there is firstly an understanding of the soil structure and your soil pH. For instance, if your garden is located on clay soil, it’s more than likely that your drainage will need improving, therefore the introduction of organic matter and/or horticultural grit will help. The soil pH value indicates how acidic or alkaline the soil is and is crucial in deciding which plants to buy. 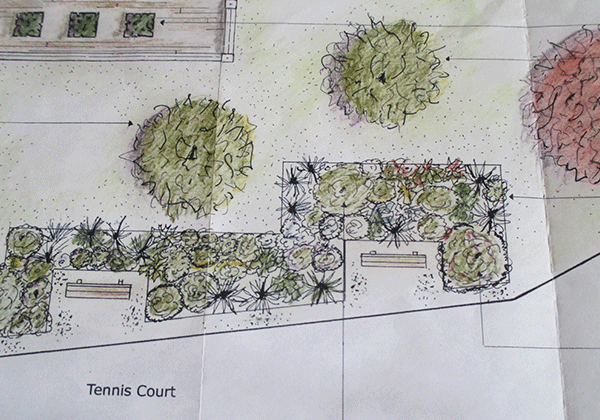 An estimate for the production of a Planting Plan Design is provided to each client. If you’re interested, please give us a call and book a free initial meeting. Visit these pages for more information on our Garden Design, Garden Consultation or Garden Maintenance services.